Next floor, was with Chris Fleming. He had his Spirit Box going and several other pieces of equpiment and he could sense a lot of spirits and energies all around us. He seemed to be a bit under the weather and not feeling so well and I was starting to worry for him. I tend to get protective when I noticed another feeling like this. Others in our group kinda went off on their own but I stayed near Chris as I knew he had a lot of insight and I felt more comfortable with him, having had a reading and gone ghost hunting with him before in Minnesota just a few months ago. I didn't get much evidence wise myself here except for what came over his Spirit Box! He had a volunteer come over to ask questions from our group as we listened thru the white noise. I held the flashlight so they could see the controls. The lady invited the spirit or entity to touch her or pull her hair or anything it would likt and the answer we got was quite rude!! Now, we are not allowed to provoke any spirits at the Waverly. Most of the people who had died there, died of tuberculosis and they are not harmful spirits. We were told that if we were caught provoking, we would be escorted off the premises and not allowed to return. They are quite strict about that, so if you go, bear that in mind. We were told that the spirits there were nice and friendly. I found out later, that not all them are. I do get and understand however why they did not want us to provoke, mostly for our own safety. You do sign waivers so that the ownevers can protect themselves against you injuring yourself and you'll find that's a pretty set standard thing whenever you go ghost hunting on one of these type of events. Sometimes when the buildings are in ill-repair, it is to protect the owners in case you injure yourself. 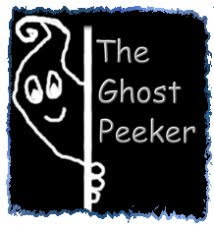 If you watch any of the shows, you have seen where many mishaps have occured and and can happen, some paranormal and some just clumsy as you are stumbling around in the dark. With the Spirit Box, like the Shack Hack, you have to really listen hard and beyond the white noise to make things out. It scans the radio frequencies at a fast rate and sometimes it can be hard to distinguish between what is a radio voice and what just might be, a spirit trying to communicate with you. I do think the Spirit Box, especially the one that Chris had, was better than the Shack Hack as it seemed the voices were more clear. I really wanted to just experience the whole thing and enjoy the investigation event and not be bogged down with equipment this time. Next stop was up to the 4th floor with Mark and Debby Constantino and Nick from Ghost Adventures.